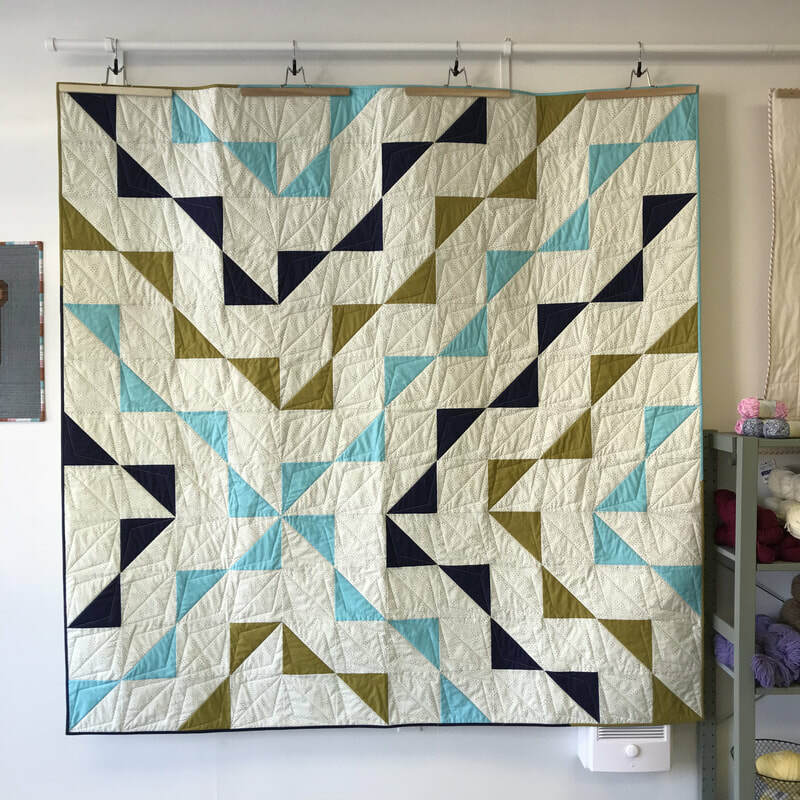 I'm honestly not sure if I finished this before or after the new year. 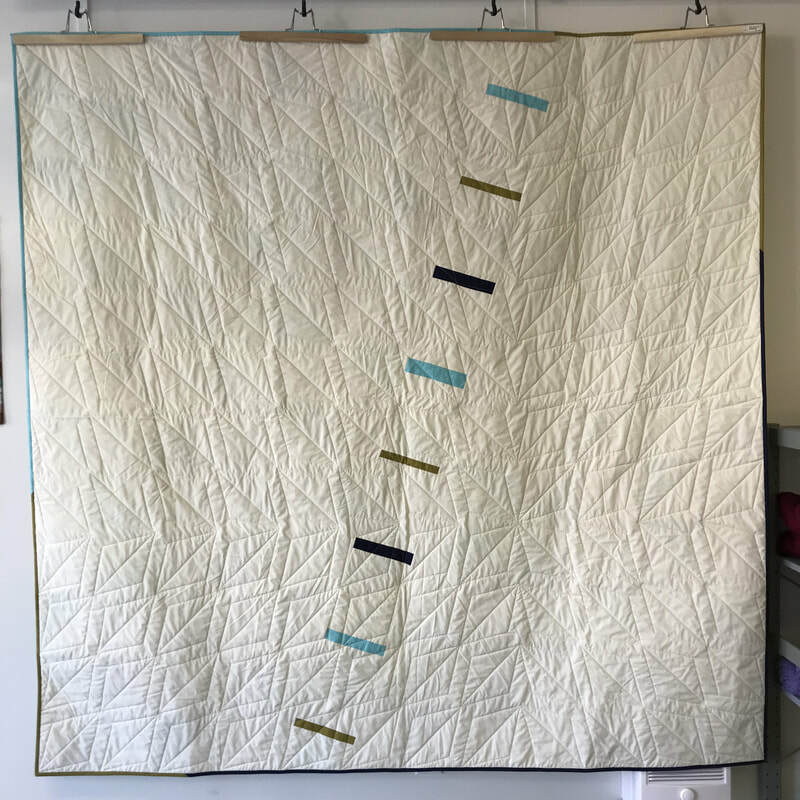 This is an entry for Curated Quilts minimal challenge. 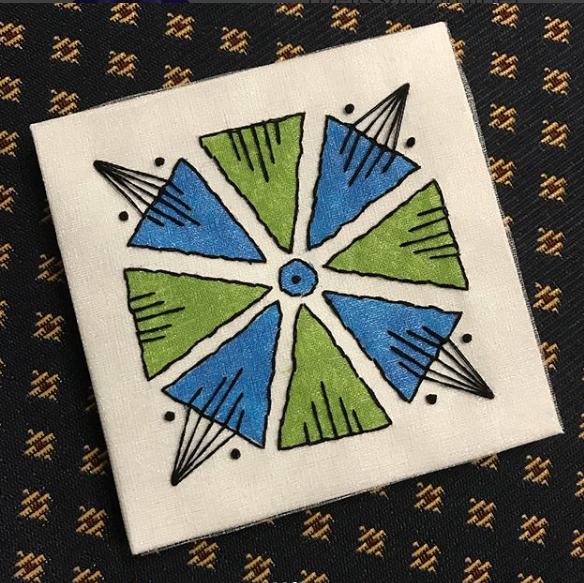 ​ @gem_artwinnipeg, and needing something small to do while away from home for work, I created these little pieces of embroidered fabric art on paint canvasses. 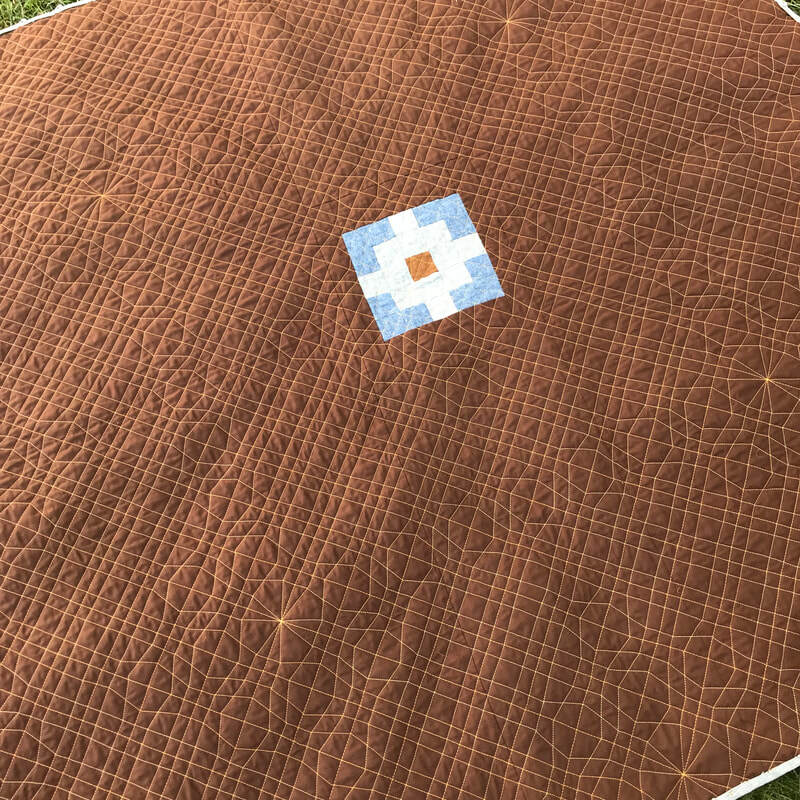 They are 4”. 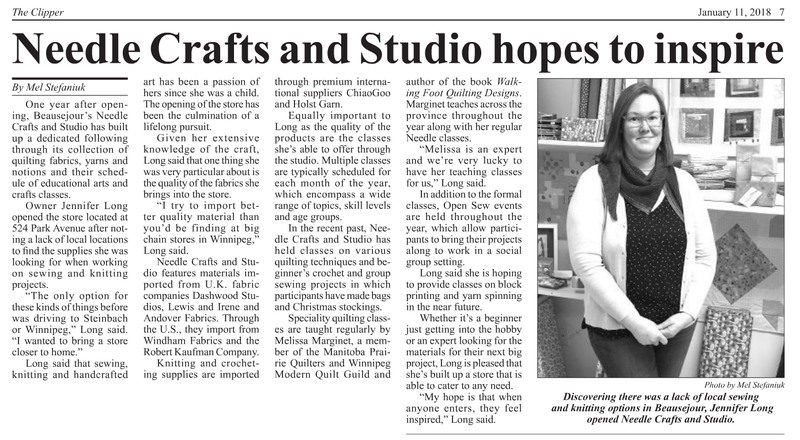 An article about my favourite little quilt store in the local newspaper with a surprise mention of me. Triangle challenge, two Improv/Connections challenges, house challenge. 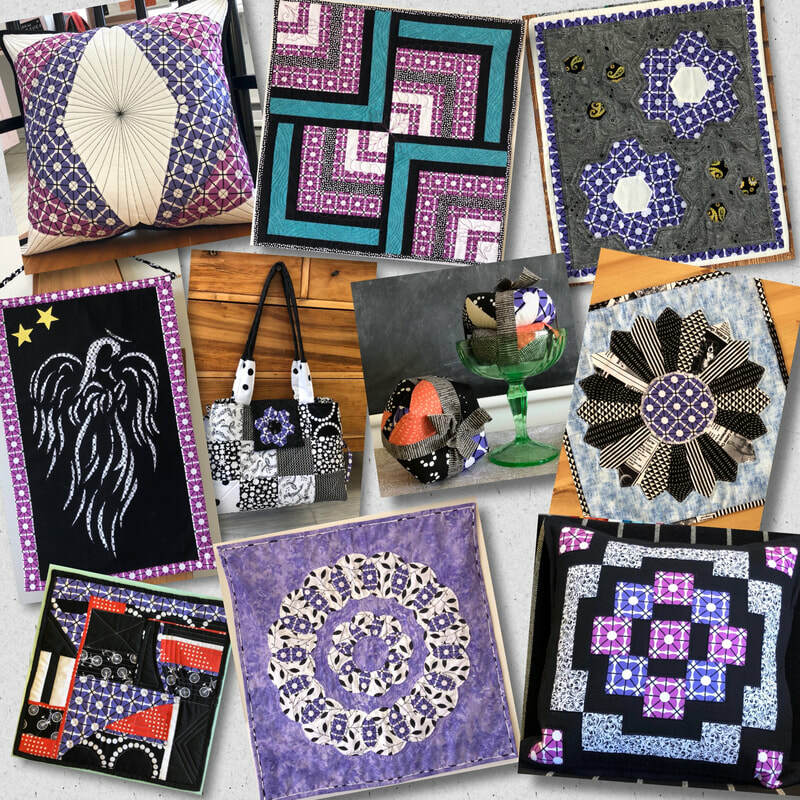 None were accepted for the magazine but they were fun to do, were good learning experiences, and will be used for teaching samples. 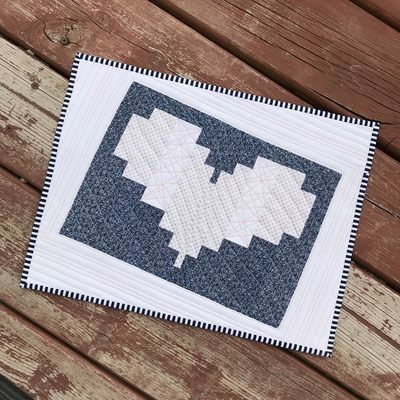 I initially designed this heart for the Winnipeg Modern Quilt Guild Rainbow Challenge. I also had the fabric for the Riley Blake Modern Quilt Guild Challenge and the Canadian Quilter's Association Trend Tex Challenge. I had so little time to complete the second two that I just decided that instead of reinventing the wheel I would just use the same design. 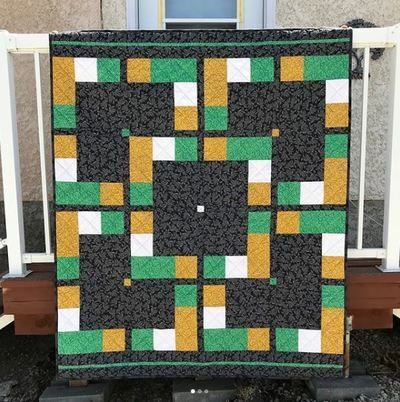 The Riley Blake challenge was sized down to accommodate the amount of fabric I had. 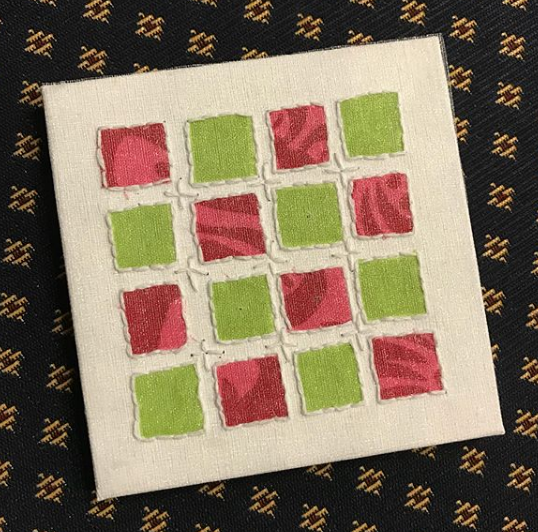 All three are a little smaller than a fat quarter. 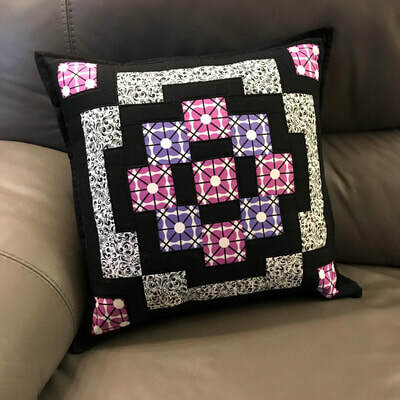 The pattern is available in my Craftsy Store or you can order a kit, complete with pattern from Needle Crafts and Studio. 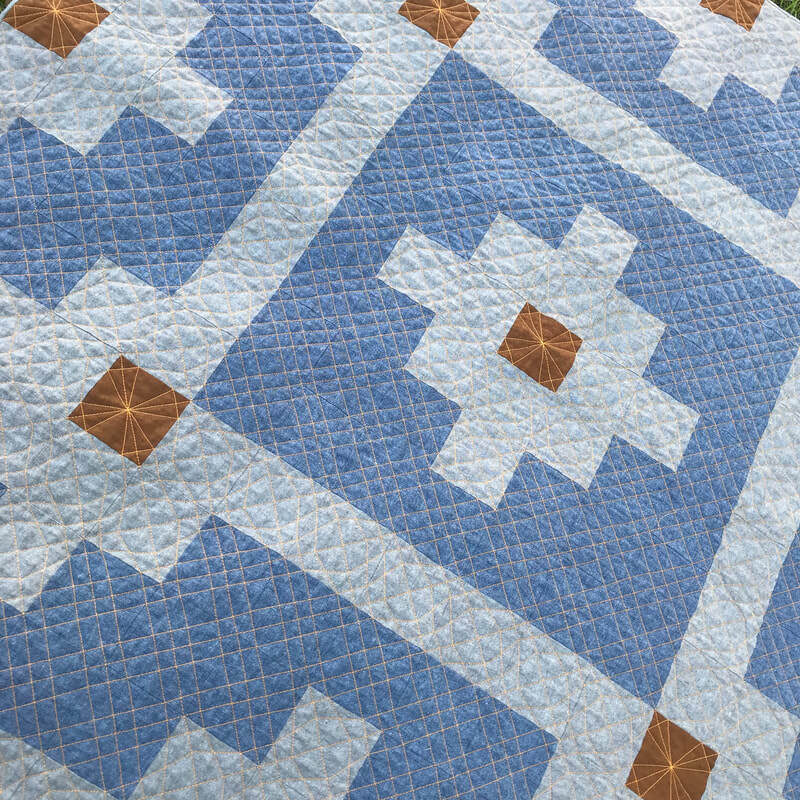 Some more little quilts I made this spring. 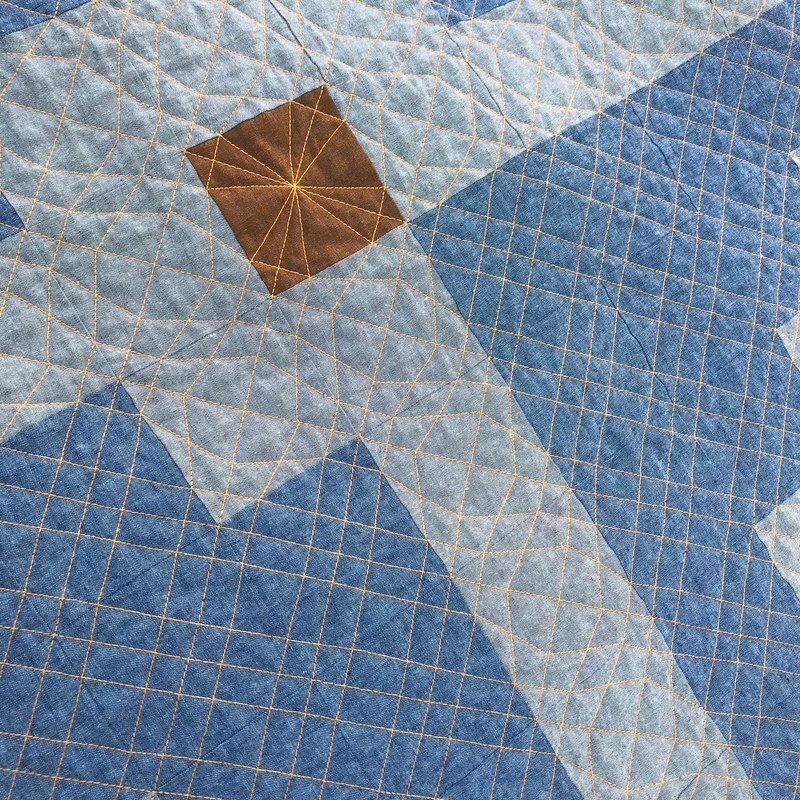 The first one is a miniature replica of the quilt on the cover of my book. 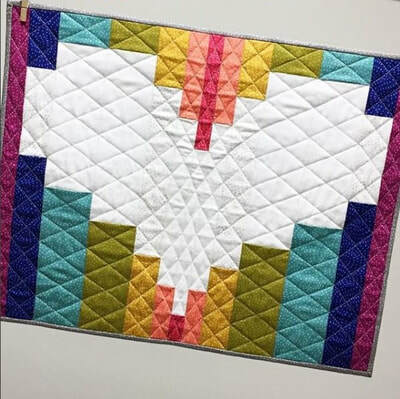 It placed 2nd in the miniature category at Quilt Reflections 2018 in Winnipeg. 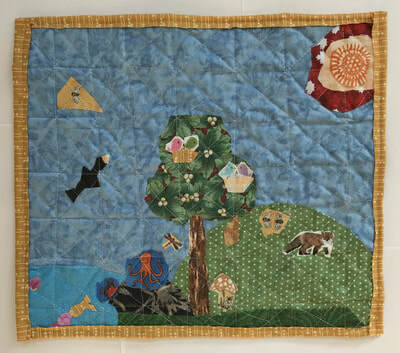 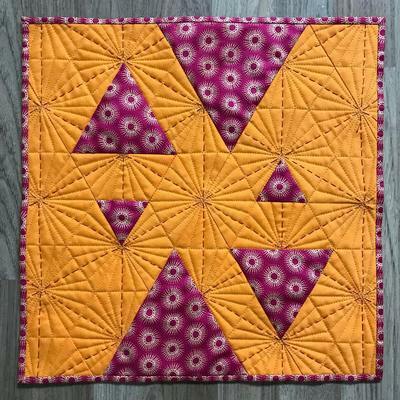 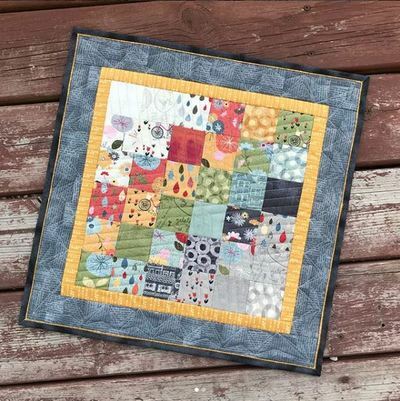 The next is based on Sewing Mojo Minis, a Craftsy class by Suzy Williams. 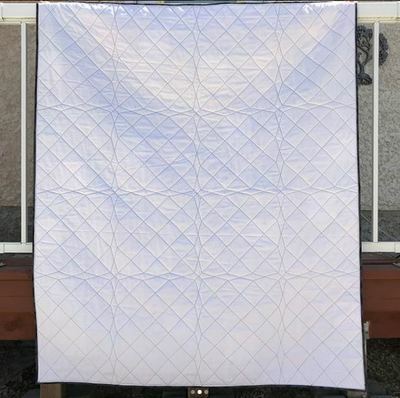 I used the challenge fabric for the Beausejour Quilt Show. 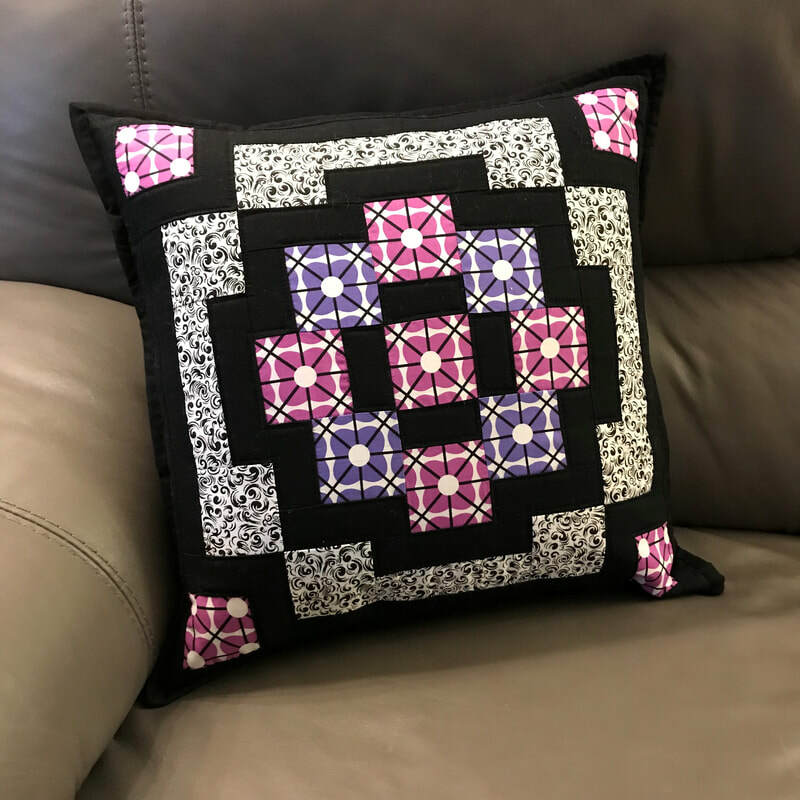 The third is a sample for my classes. 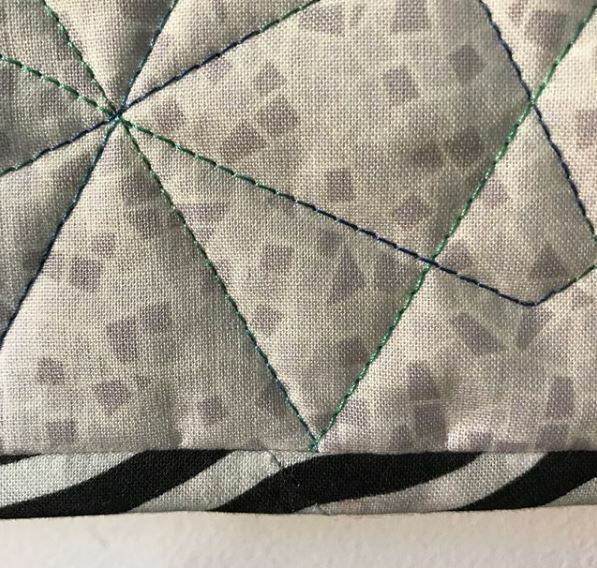 It's features a walking foot quilting design, a quilt-as-you-go technique and a flanged binding. 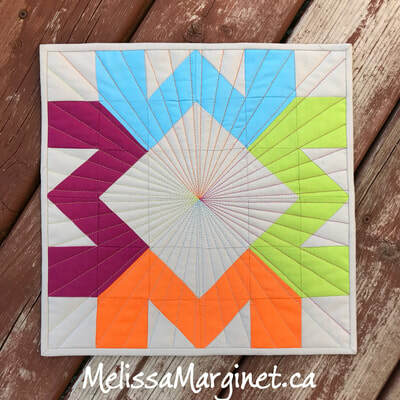 The last one is a modern mini challenge by Jackie White. 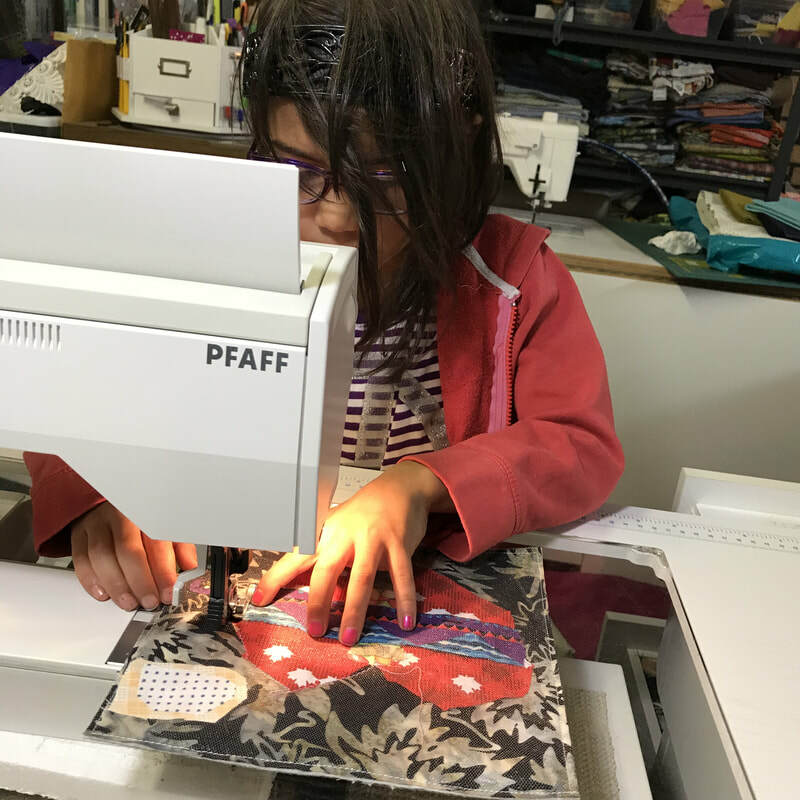 All three grandchildren participated in the Youth Challenge this year and their quilts hung at Quilt Canada in Vancouver. 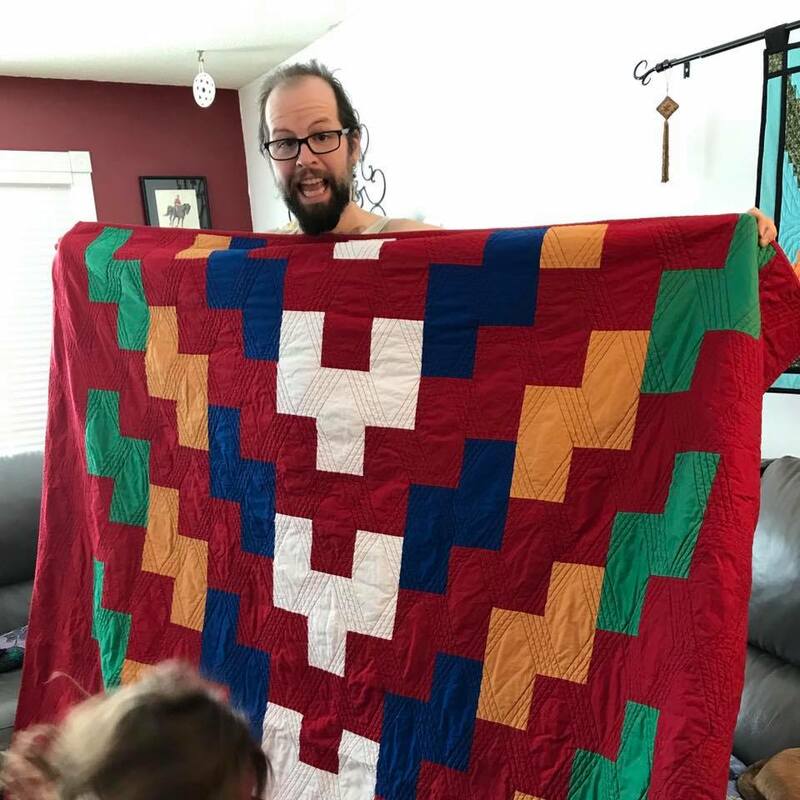 Rick needed a new quilt so I quickly threw this together for him one weekend. 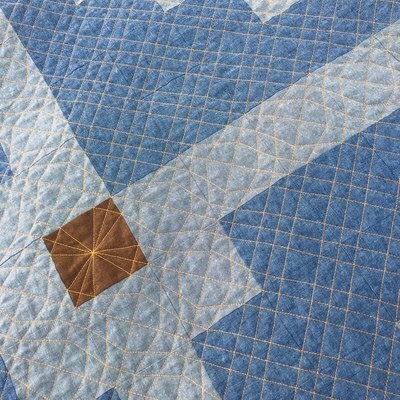 It is all repurposed materials. 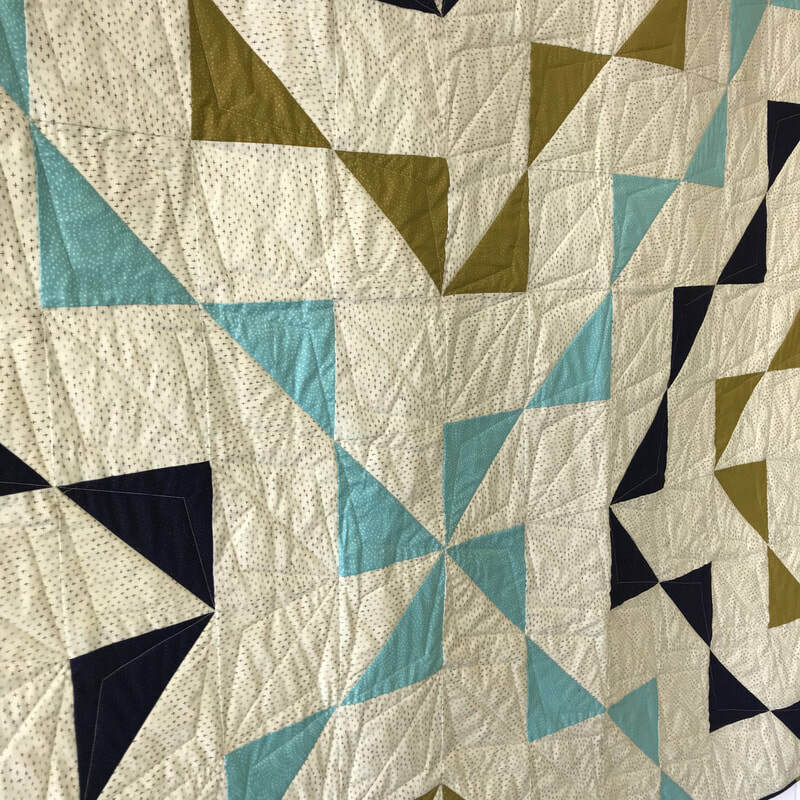 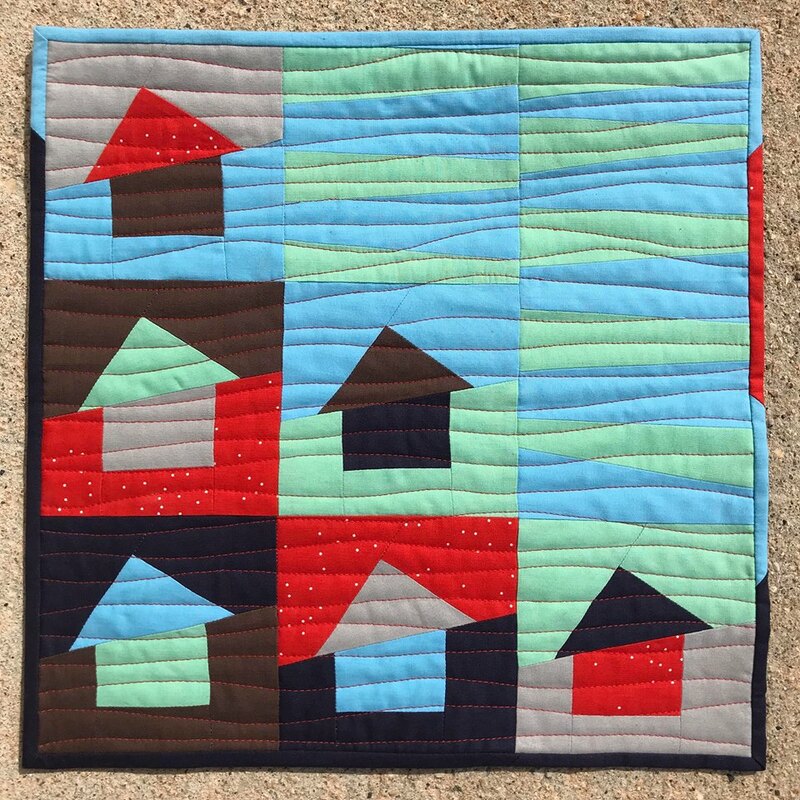 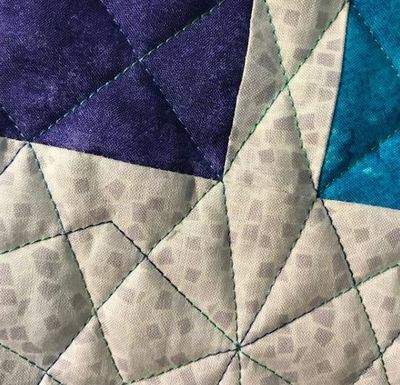 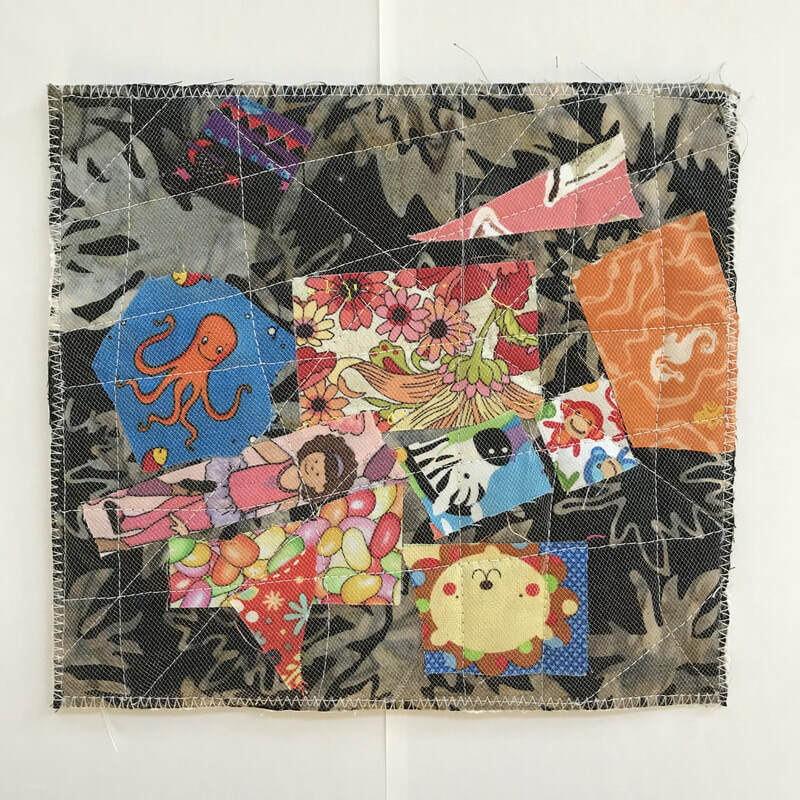 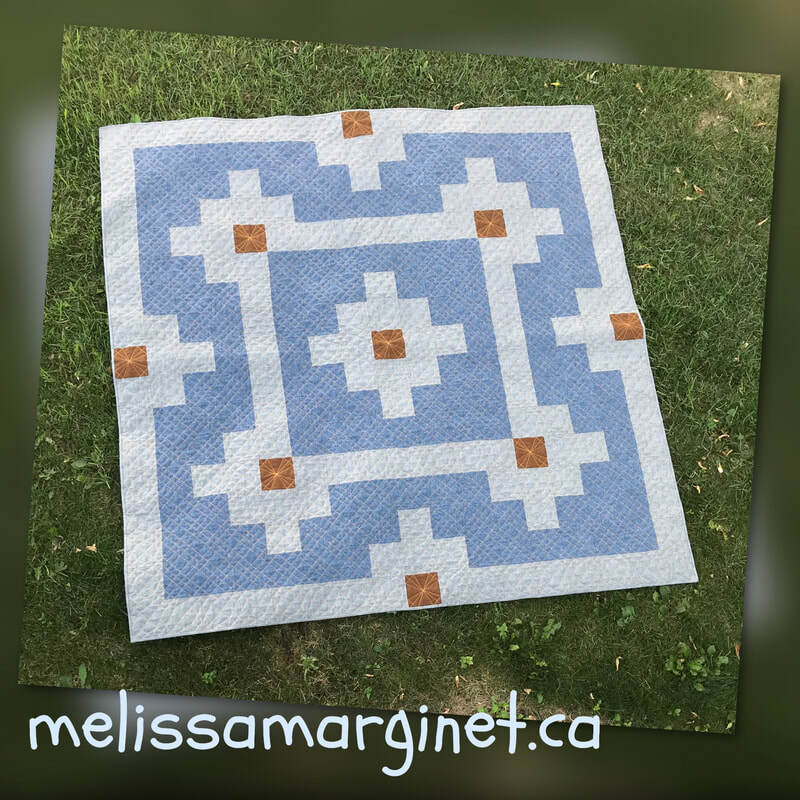 I was contacted by Quilter's Connection Magazine, a Canadian Publication, and asked to design a modern quilt for their summer issue which would focus on Walking Foot Quilting. 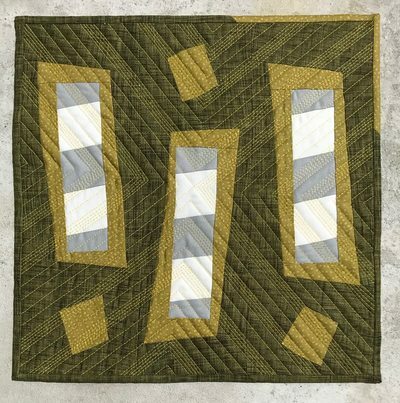 Summer Breeze was the result and is featured in the current issue of the magazine. 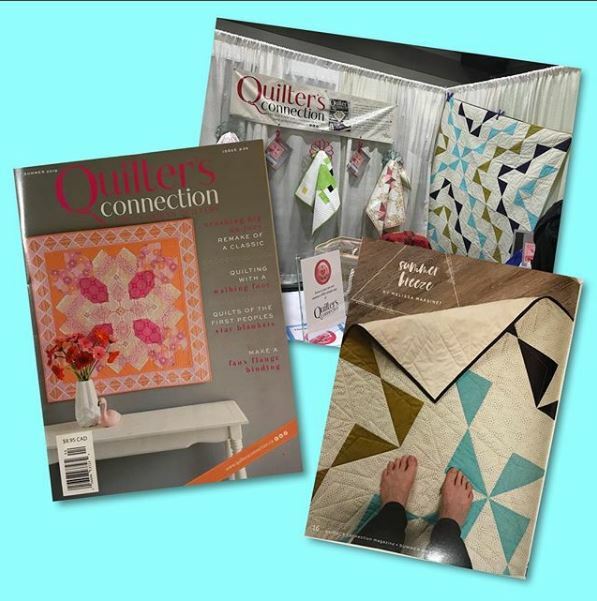 My quilt was hung at the Quilter's Connection booth at Quilt Canada 2018 to help promote the magazine. 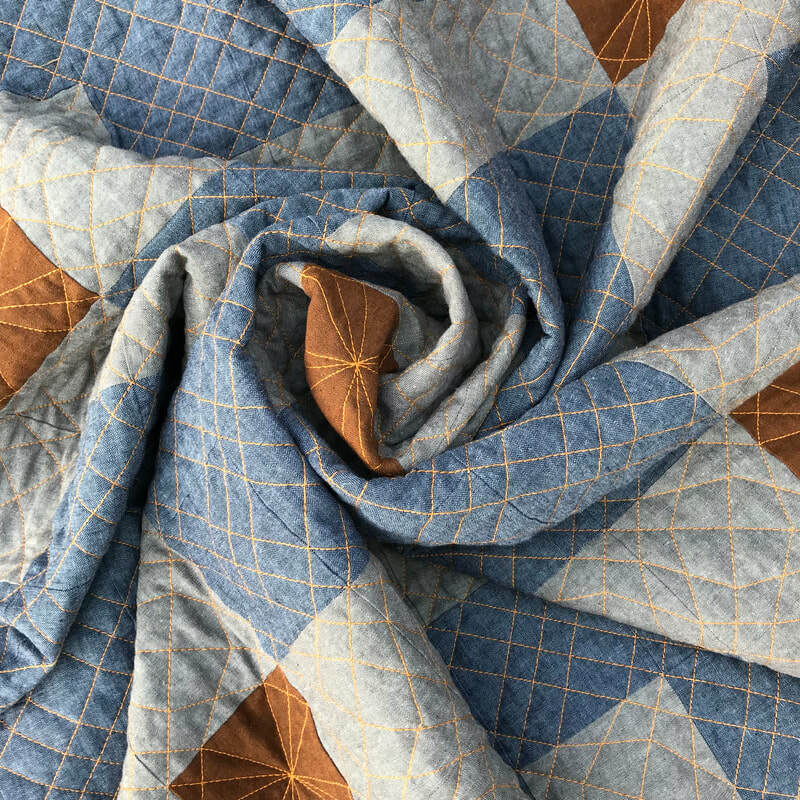 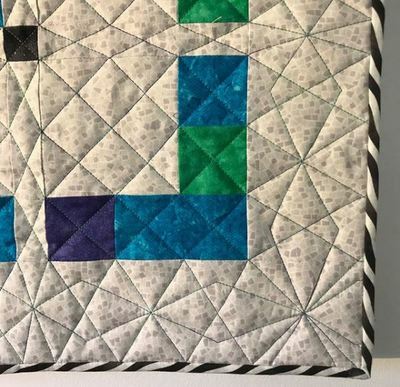 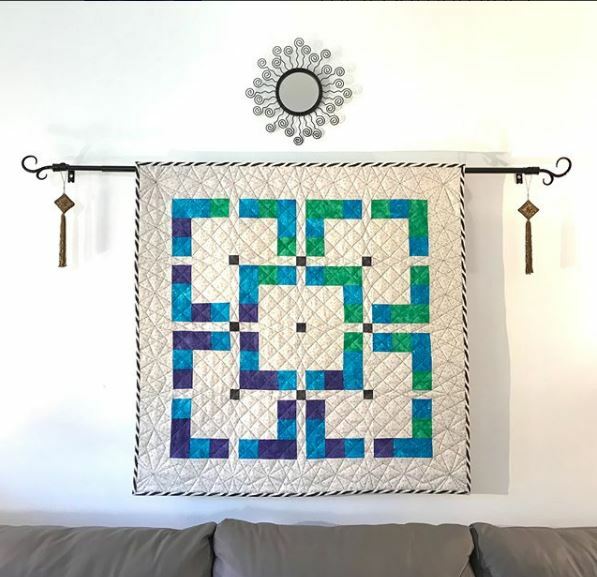 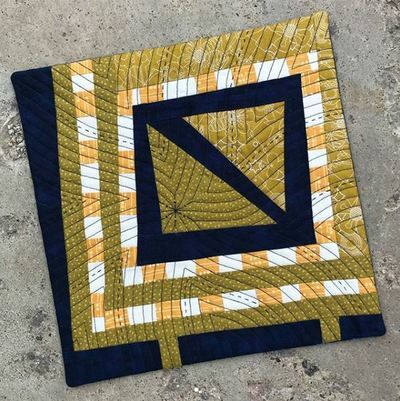 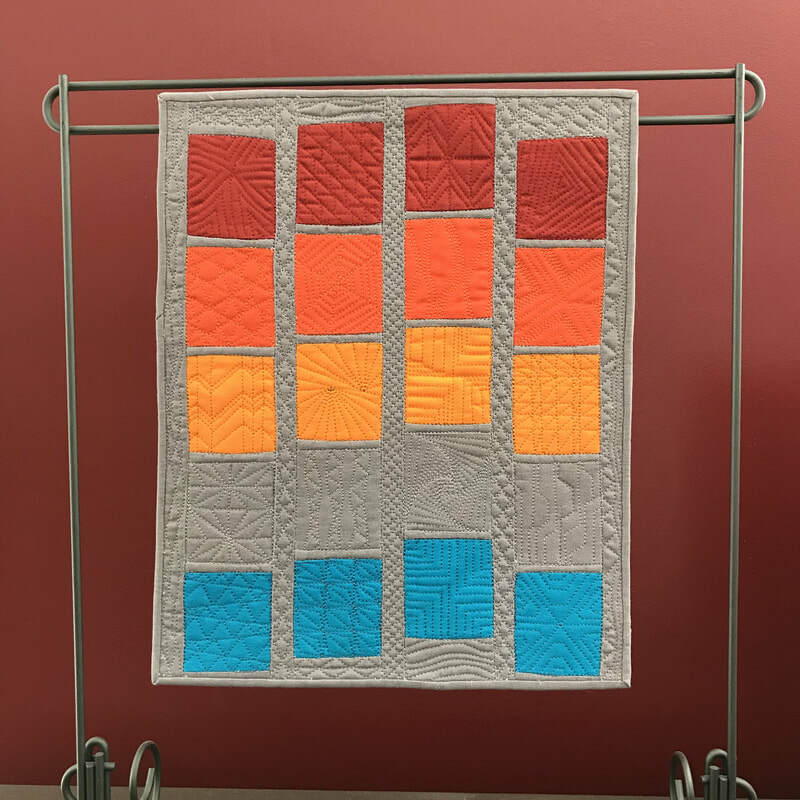 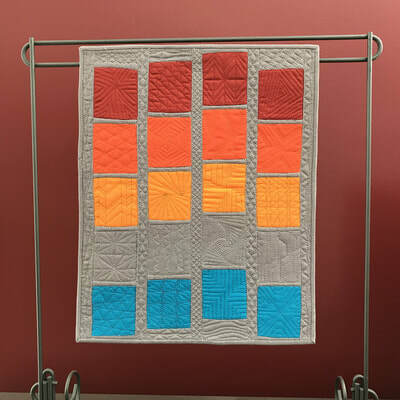 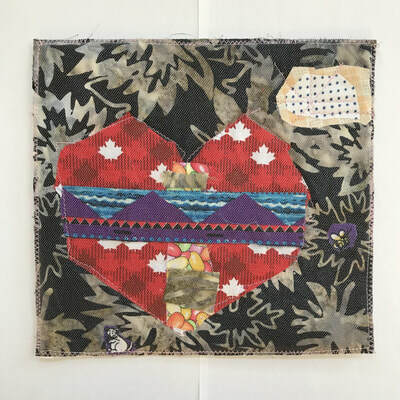 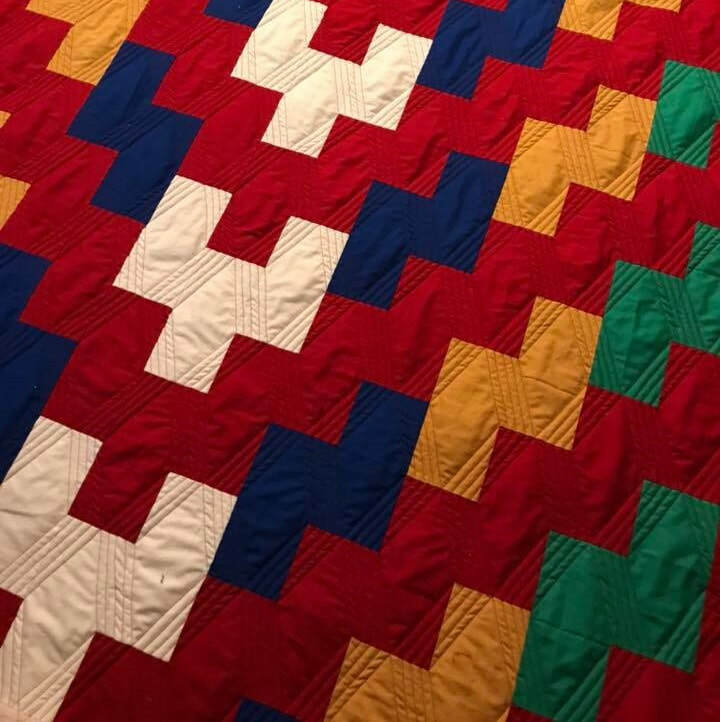 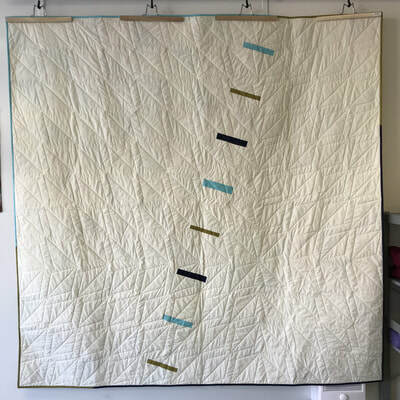 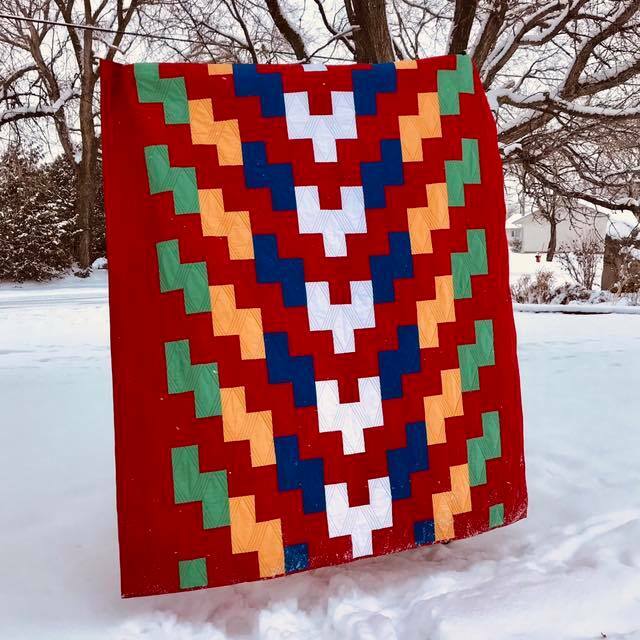 ​This quilt was made after the Humboldt bus tragedy where 16 people perished when the hockey teams bus got t-boned at an intersection. 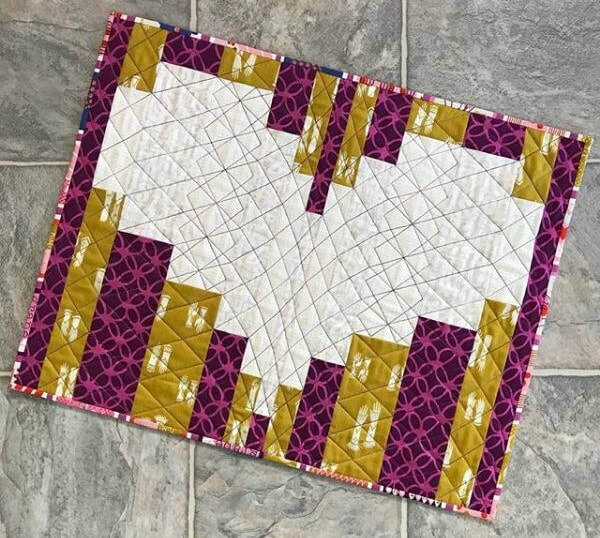 It has been sent away and will be given to someone to help them cope with the tragedy. 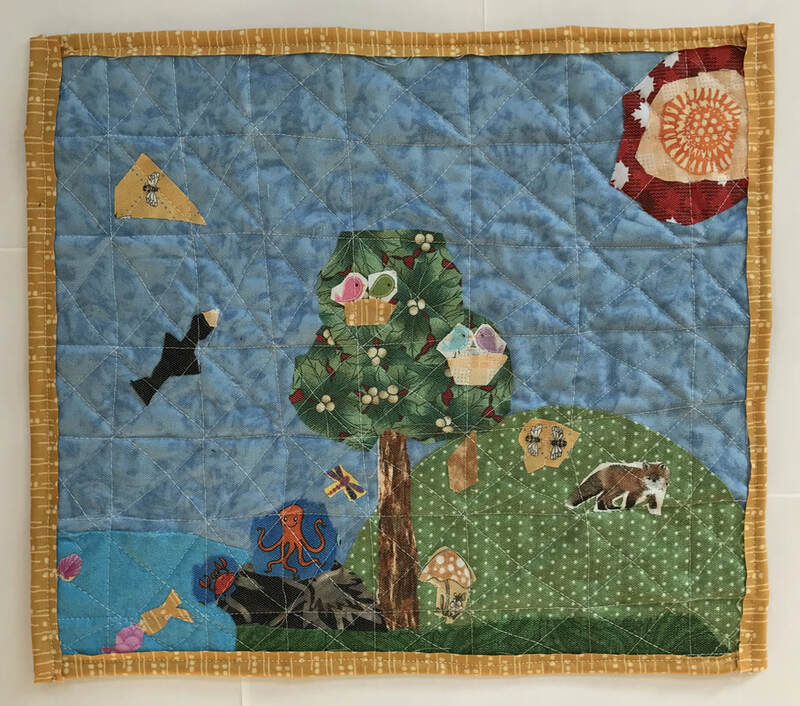 72" x 72"
​Yes another ZEN Tree. 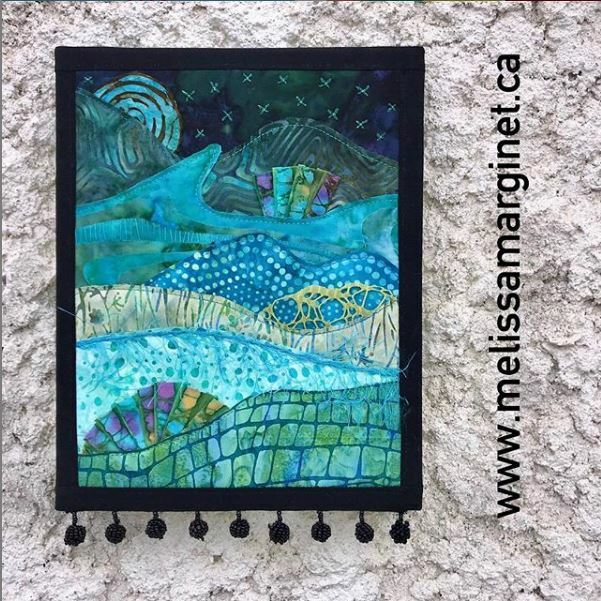 This one is called Frost and was made for the Textile and Fibre Artists of Manitoba Manitoba Moments travelling fibre art show. 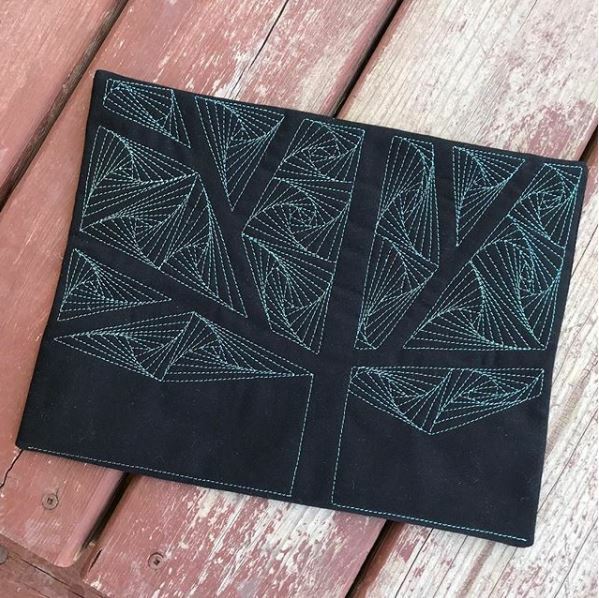 It is a whole cloth, stitched with a green glitter thread and measures 8.5" x 11". ​I found the amazing black and white wavy striped binding fabric in the discount section of a local fabric store. It just sets off the piece and I’m very pleased with how it looks. 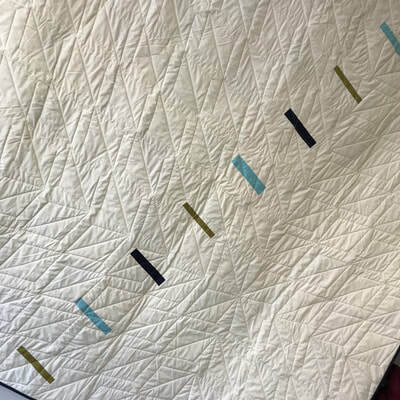 I even meticulously matched the stripe so you can’t see the joins. 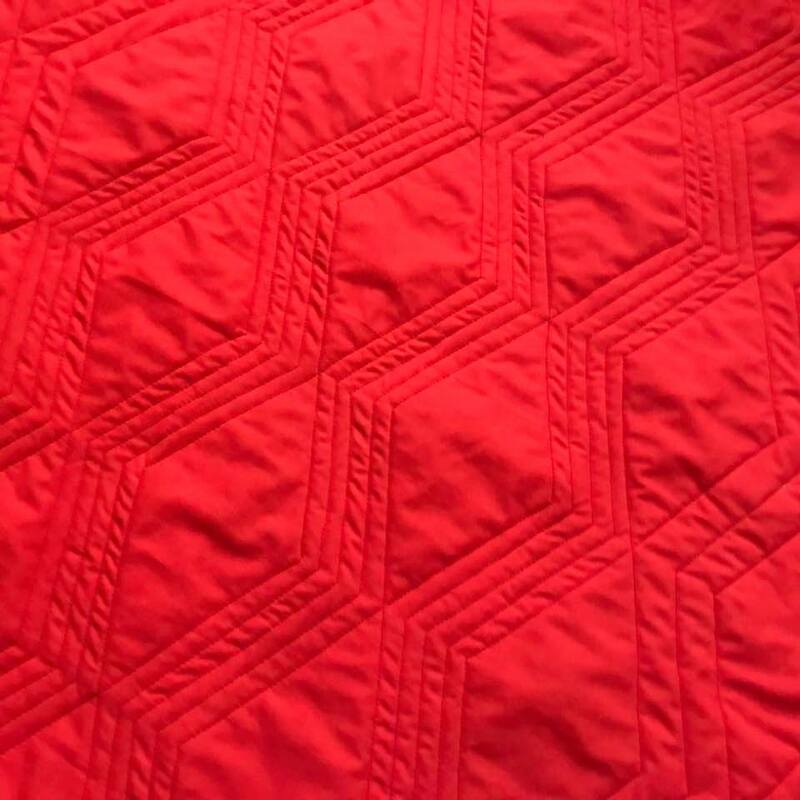 I quilted it with my walking foot using 30wt Premium Sulky Blendable thread. 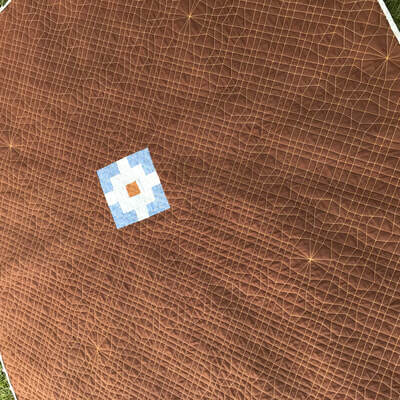 This is the first time I used Hobbs 100% Wool Batting and I’m in love, look at that texture. 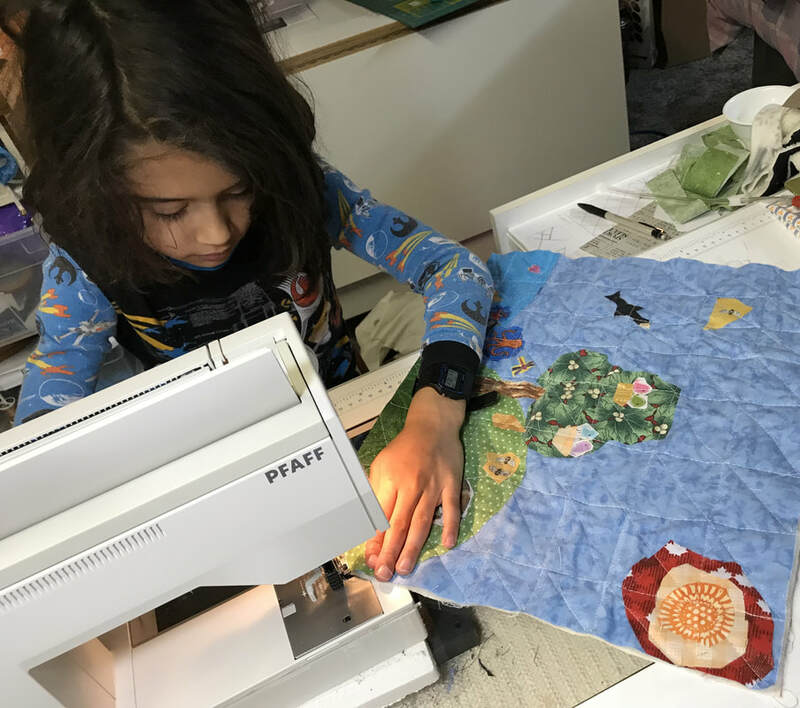 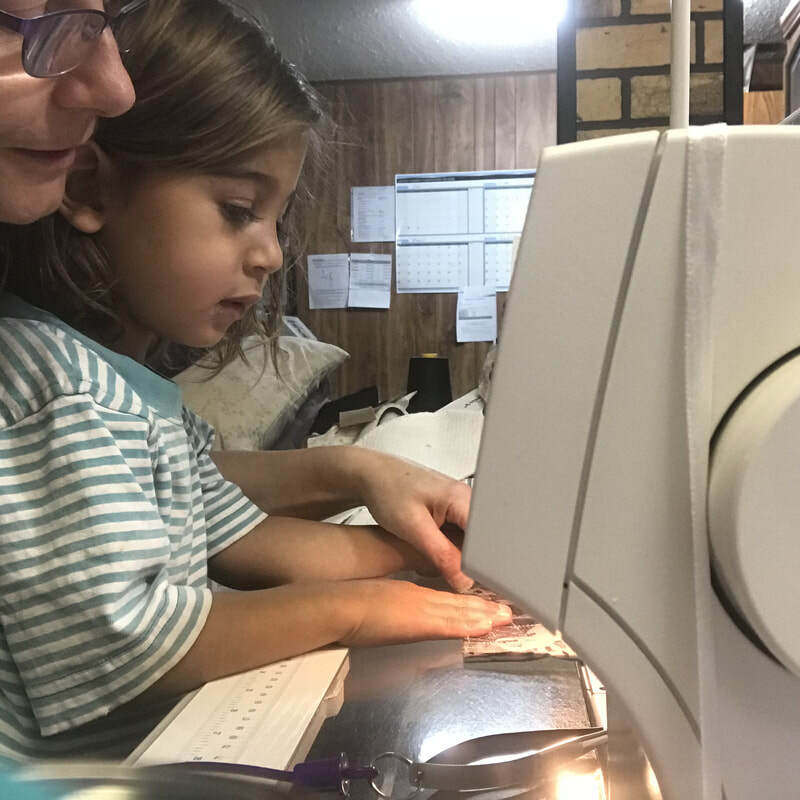 Needle Crafts + Studio had a fabric challenge. 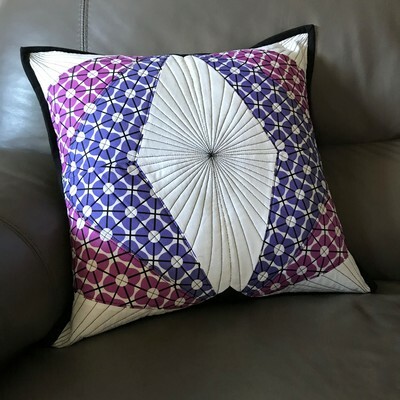 I entered two cushions in the challenge. Third picture shows the other entries. 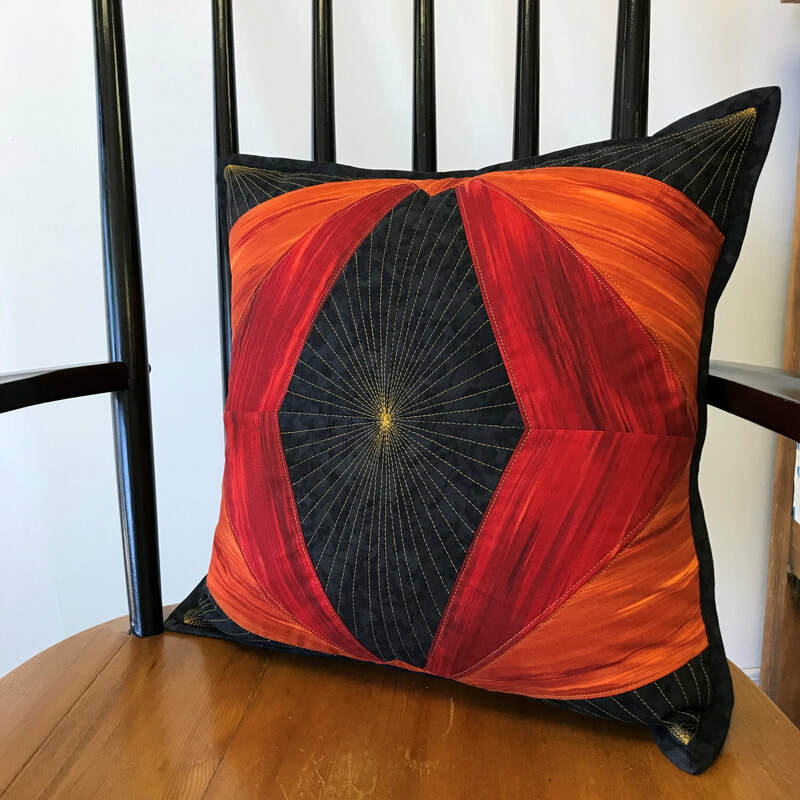 I wanted to enter one of my cushions in another show but they were still at the store so I made another one. 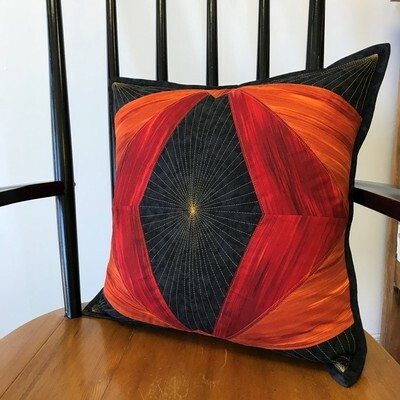 The first cushion won viewer's choice at the store and the black cushion won first place in it's category at the Springfield Agricultural Fair. 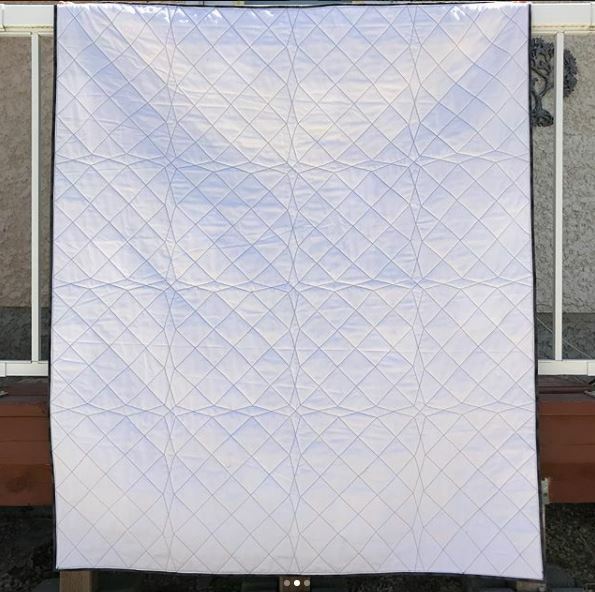 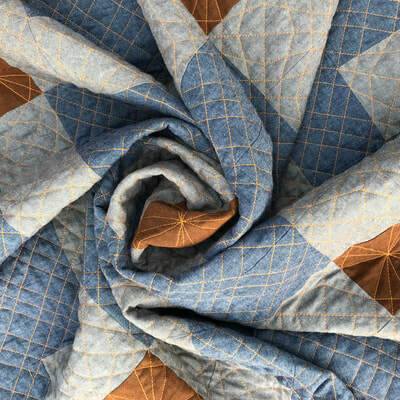 This 68" x 68" quilt is made from luscious Essex Linen. A simple design with striking stitching done with 12wt Spaghetti thread by Wonderfil. 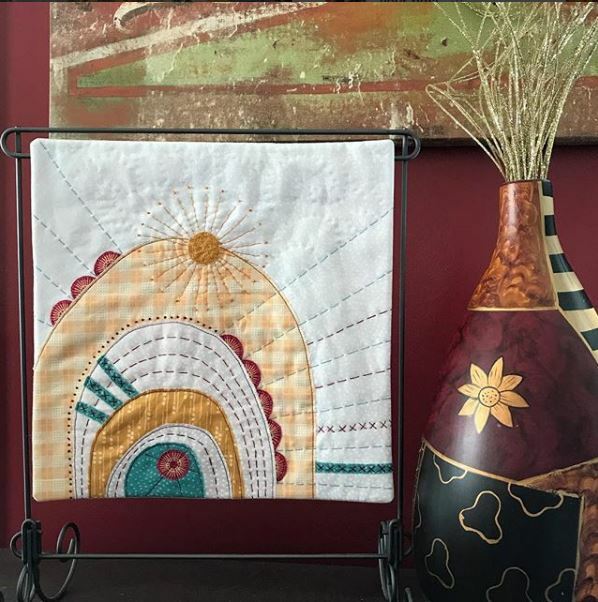 I like to dabble in fibre art once in a while so I took the opportunity to attend a class with Brandy Maslowski, Quilter on Fire when she was in Manitoba. 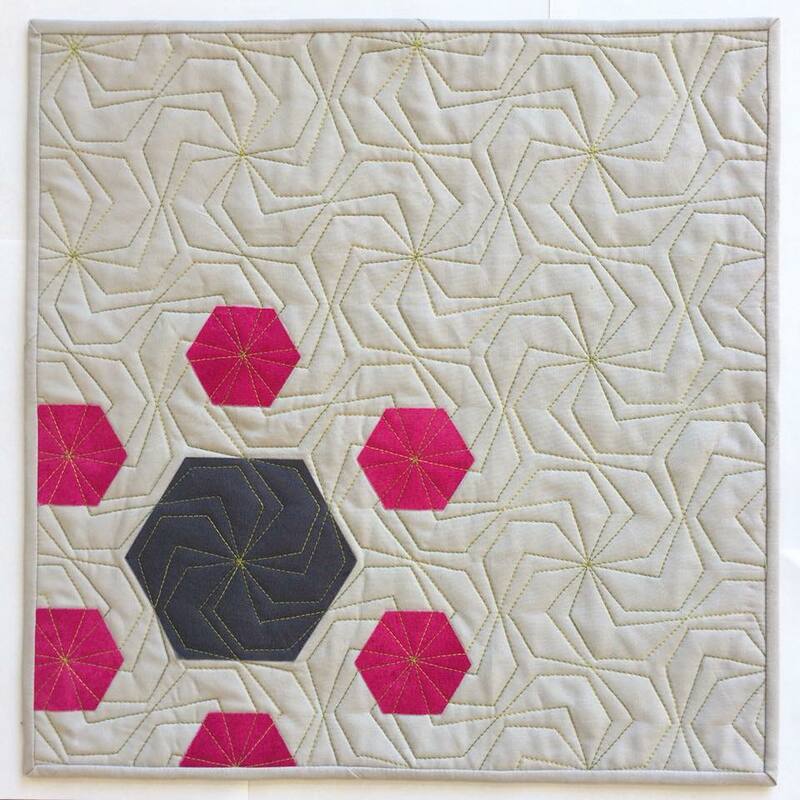 I learned some new tips and tricks while making this 8 x 10” piece and had a whole lot of fun doing it. 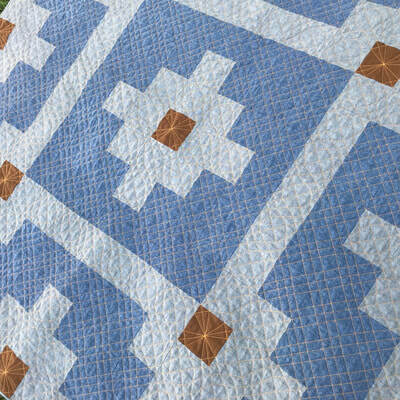 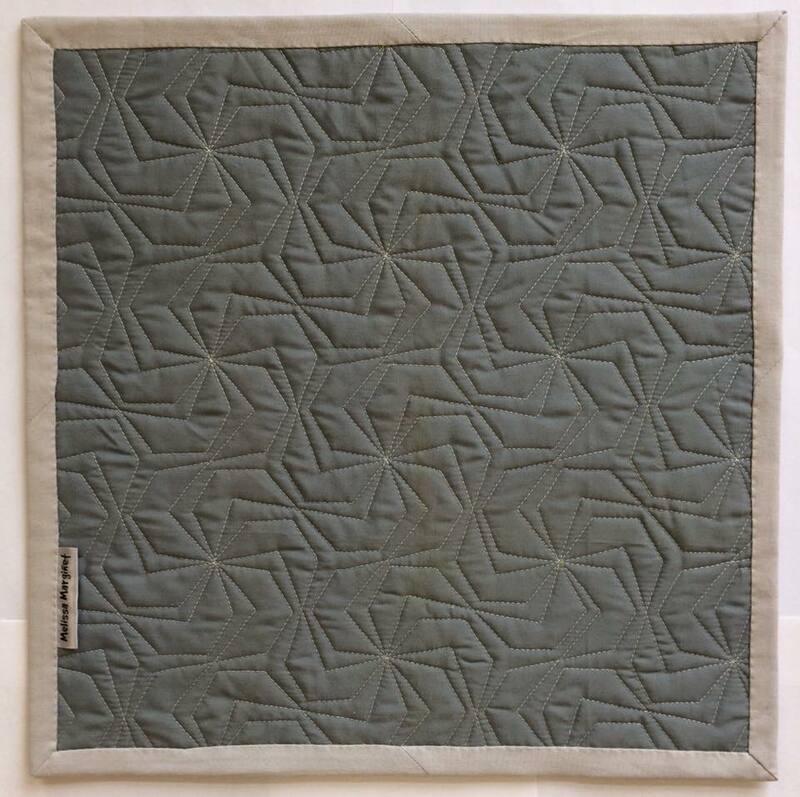 The pattern for this quilt is based on a Ceinture Fléchée (Woven Arrow Sash) used by the French & Métis Voyageurs.